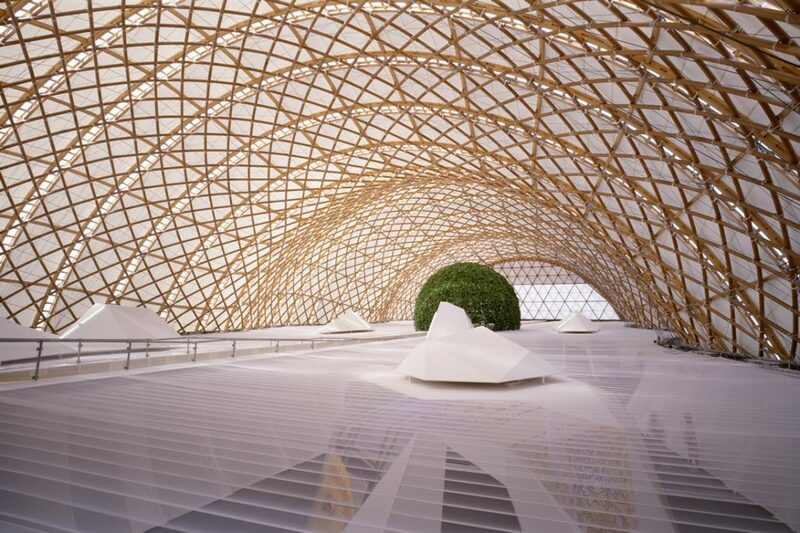 At a special lecture event in Singapore, Shigeru Ban gave a glimpse into the development of his paper-tube architecture and the social contribution architecture can make to the world. A significant proportion of Singapore built environment industry professionals were at The Star Performing Arts Centre on Friday 9 November 2018 to hear a lecture by prominent Japanese architect Shigeru Ban. Through a discussion of a number of his projects, Ban recounted the development of his use of elements such as paper tubes, operable walls and picture windows before presenting some of his humanitarian activities – many of which have been in our region. Ban has worked in the area of disaster relief since 1994, often utilising the paper tubes he has become so well known for. 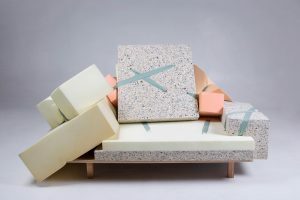 His first exploration of that unconventional material was back in 1986, when he created panels, partitions and display stands with recycled paper tubes for a MOMA exhibition of products by Alvar Aalto. With that project, Ban’s ‘paper architecture’ was born. 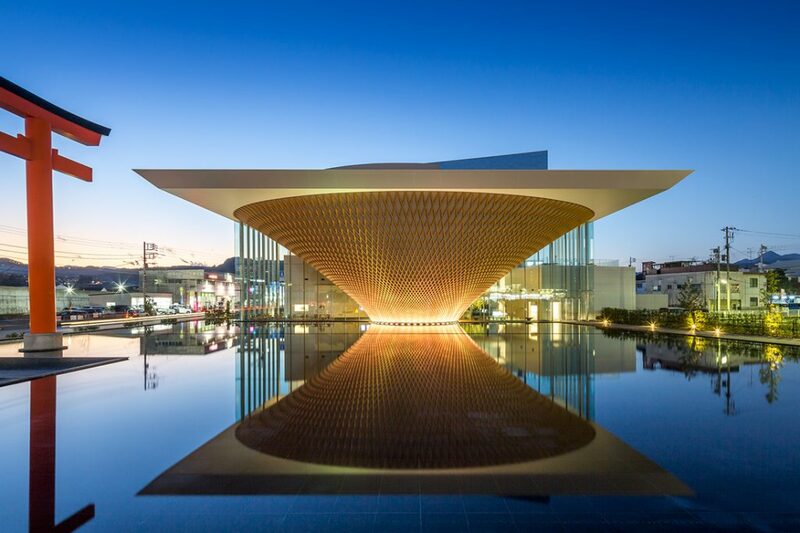 The discussion of sustainability became prominent, he recalled, around the time he designed the Japan Pavilion for the Hannover Expo in 2000. His goal was to be able to recycle or reuse all of the building materials after demolition, and to construct with low-tech methods. 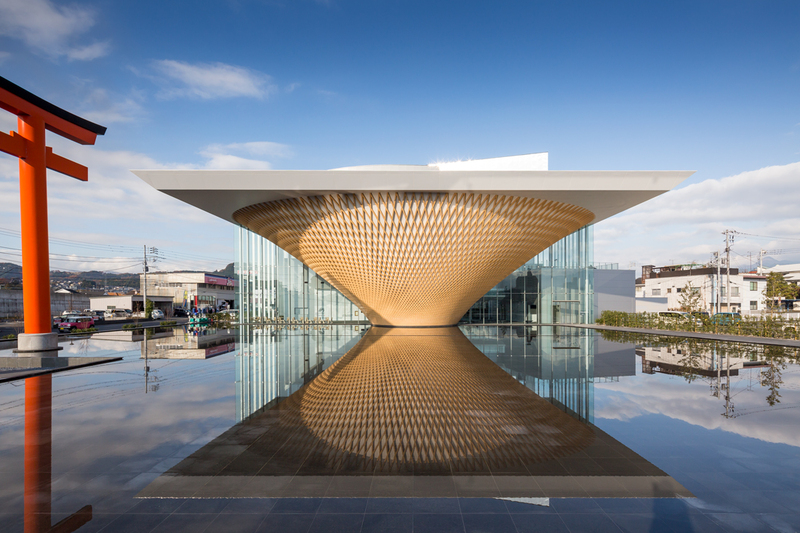 The 73.8-metre-long tunnel of the pavilion was constructed with paper tubes in an intersecting grid shell of three-dimensional curved lines that offered good performance in terms of combating lateral strain. 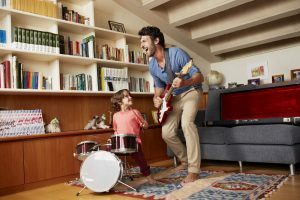 Additionally, as he outlined through the presentation of some key projects, Ban explored elements such as operable walls and large picture windows. He provided insights into works such as the Paper House in Yamanashi (1995), the Nomadic Museum in New York (2005), Metal Shutter House in New York (2010), the Mt Fuji World Heritage Centre in Shizuoka (2017), and many more. While developing such client-driven projects, he saw a real need to improve the care for disaster survivors and refugees, and the environments they find themselves occupying. 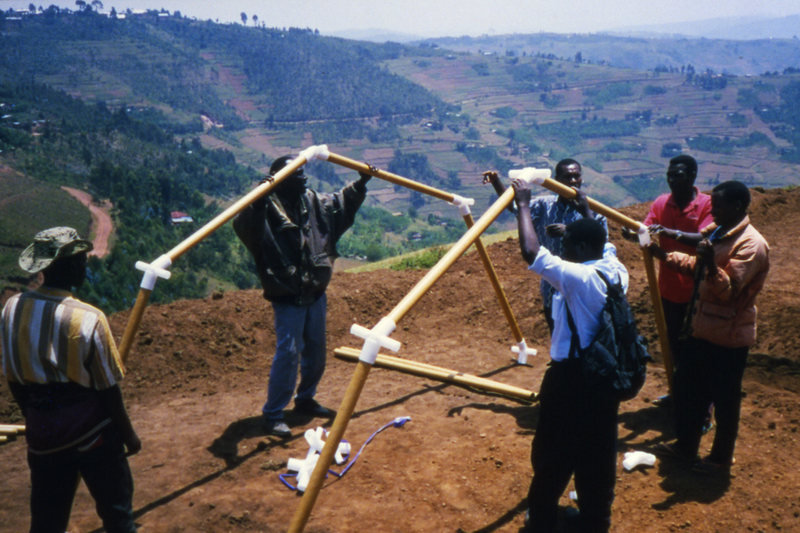 In the 1990s, Ban designed paper-tube shelters for people in precarious situations in Rwanda. 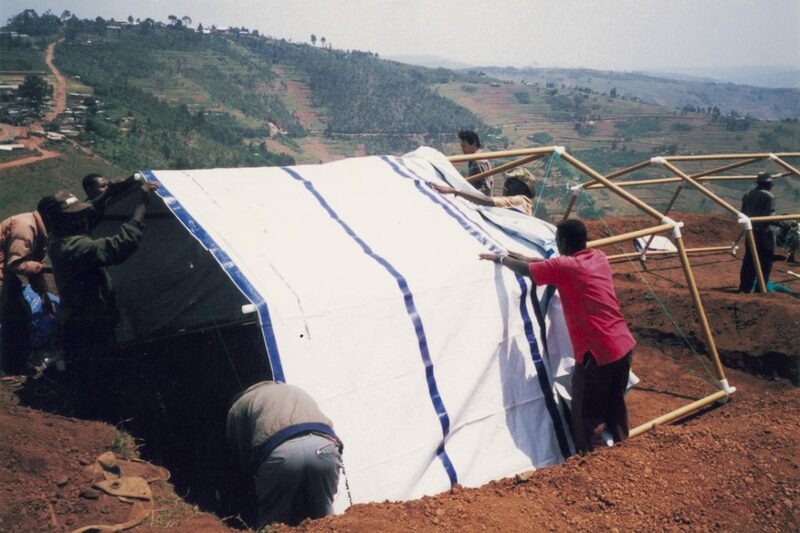 The Paper Emergency Shelters for the UNHCR at Byumba Refugee Camp (1999) were designed to counter problems with the use of the UNHCR’s standard shelter: refugees would sell the constituent aluminium poles and then cut down trees to create new timber structural supports. In the process, deforestation in the surrounding region was becoming critical. Further humanitarian work in locations such as Kobe, Turkey, India, Sri Lanka, China, northern Japan, the Philippines and Nepal were also discussed during the lecture, with Ban demonstrating his sensitivity toward often-overlooked issues such as privacy within temporary shelter situations, the re-use of everyday objects and materials, and the adoption of local resources. The longevity of some of his ‘temporary’ projects, such as a paper-tube church, led Ban to ponder the definitions of ‘temporary’ and ‘permanent’. More insights into Ban’s thinking were revealed during the post-lecture panel discussion, during which he talked about the influence of his time spent studying in California, the influence of the Case Study Houses (with their use of unusual materials and indoor-outdoor connections), creating in-between spaces, and the importance of drawing by hand. The audience took away with them an awareness of Ban’s deep consciousness of the social contribution architecture can make to the world, and without doubt, a big dose of inspiration. 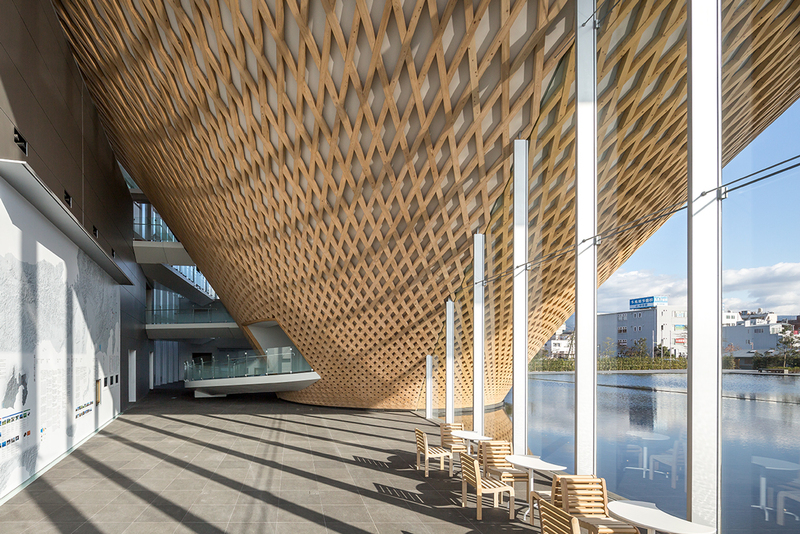 The lecture ‘Shigeru Ban: Works and Humanitarian Activities’ was organised by ToTo and supported by W. Atelier.